Jerusalem artichoke is a special plant of the sunflower family. It grows up to 4m high and forms extraordinary, about fist-sized tubers in the soil. As a pure winter vegetable, the plant was previously widely known, but fell into oblivion and was displaced by the potato. For over 10 years, we have specialized in this plant with our small organic farm in the Allgäu. We're pretty excited about the features and possibilities of this versatile sunflower species. 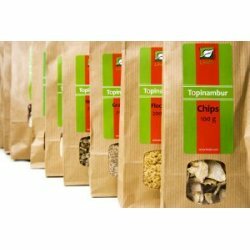 Our sustainable Jerusalem Artichoke manufactory, Die Topinambur Manufaktur, offers you everything with those healthy tubers: from fresh Jerusalem artichokes for eating or planting, to dry products such as flour, bread or powder, to delicious syrups, fine spirits, crispbread or pasta. 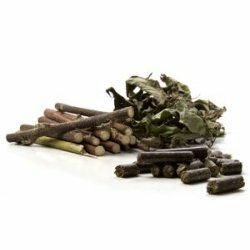 For gardeners and hunters, we offer wild fields and sorted plant tubers. 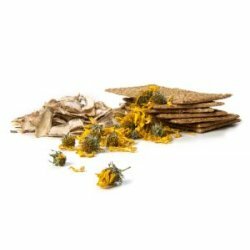 Discover our unique topinambour products from organic agriculture! Jerusalem artichoke is versatile and healthy. The health-promoting effect of the tasty organic tuber is mainly due to the inulin. This multiple sugar has probiotic properties and can positively influence the metabolism. 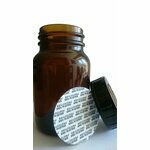 Diabetics appreciate this effect, with diets this achieves good results in losing weight and overall stabilizes and optimizes the intestinal flora. On our pages you will find everything about the little wonder of nature. 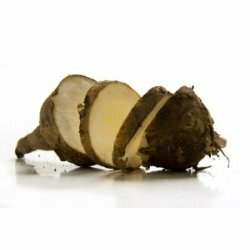 Poke arround through our range of fresh and dried products, learn about the effect and use or discover one of our great Jerusalem artichoke recipes - here is something for everyone! From October to April you will find fresh Jerusalem artichoke tubers from organic farming. Simply choose, as needed, between tubers and tubers. We have put together a selection of delicious recipes for starters, main courses and desserts. The tubers you can use for your garden as a self-sufficient, as an ornamental plant or windbreak or on the Wildacker. The robust Jerusalem artichoke plant is fast growing, undemanding and gets beautiful flowers. But respect is required the vegetable plant is up to 4m high and needs its own place in the garden! The delicious vegetables can be used in many ways and are very easy to process. 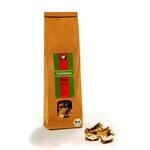 Therefore you can order with us a variety of dried Jerusalem artichokes variants: z. 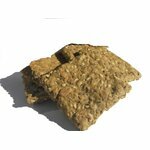 As flour, bread or cereal, in the form of chips, cubes and granules or as a tea and juice powder. So, healthy eating becomes child's play all year round. Especially for diabetics, the positive characteristics are a clear plus. Stöber now in our offer and also discover tasty syrups, informative books and practical gift ideas. You are welcome to call us and we can continue to inform in conversation, if there are any questions left. Have fun surfing and enjoying! 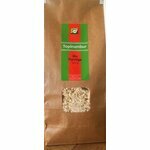 If you buy from us you will support a small, but fine organic agriculture which is aware of her responsibility. We contribute significantly to the biodiversity and the preservation of the cultural landscape and without the Internet, we would not give it anymore, but it still gives him the little mom and pop shop on the Internet without Amazon and Co!